This blog originally appeared on Duvault-Blochet. Our Head of Fine Wine, Will Hargrove, gets to go to some pretty special tastings, and this was definitely up there. This tasting is very probably the most special and unique tasting I will ever do. I thought long and hard about whether to post this as I do not want it to appear remotely like an attempt to show off, on balance I just thought that wine is for enjoying and to not post it would be silly. We had been “warned” at a light lunch (see next post) that there was a special tasting coming in the afternoon but I don’t think anyone dared think it might be what it was. There was an instant feeling of something simply unique. In terms of the details, the wines were all served in Reidel Burgundy glasses, poured and tasted as we went, unlabelled bottles at the perfect “cool” temperature. The only wine in this range I had ever had before was the 1971 when Aubert received the Decanter Man of the Year. After each vintage there is the date of picking and then the yield. Aubert noted that this was a small harvest where tweezers were used to select the good grapes. There is some Bovril brown to the colour but it has the vibrant colour of young Bual Madeira. The nose has a beautiful degraded sweetness, so clean and vibrant. There is an amazing primary note to the fruit, red fruit but not light red. Initially on the palate the nose is confirmed, fruit again but a dash of white pepper freshness, persistence on the tongue, such life. This is a vibrant and lively wine almost exactly a third fruit, a third savoury and the final third is a saline, mineral structure. There is good focusing acidity. The length is superb, minutes long and fresh, almost more fruit as time goes on, so elegant yet so firmly persistent. There is nothing you would change about this wine. On re-visiting at the end of the tasting it had mellowed and melded together even more. Almost a raisin and red fruit combination. Aubert’s second year at the Domaine. Similar to the 1971 in colour, a shade more tea like and a little paler to the rim. So pretty, my initial reaction is to say this is more feminine that the 1971. There is a touch more salinity on the nose, very fresh and very airy fruit, weightless. Such persistence and rigor to the nose. Both the nose and the finish have such exceptionally wonderful fruit. A shade bruised and degraded but pure. 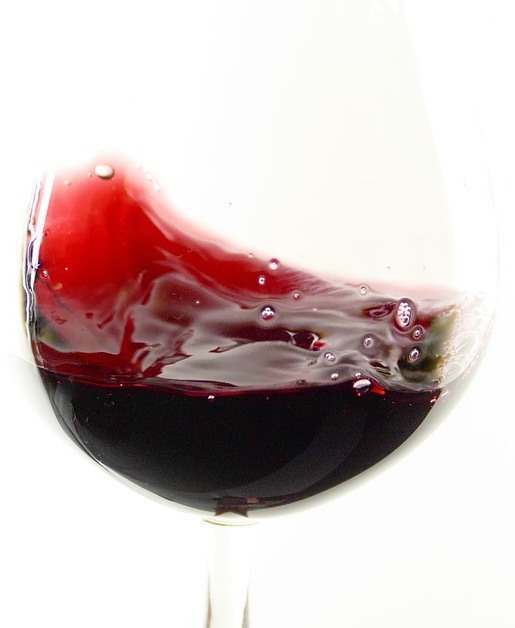 The palate, in-between is more rich and has a savoury depth. With air a few more meaty and stock-like notes appear. Long again, the finish changes from fruit to tea and herbs. Superb. On re-visiting at the end of the tasting I found wonderful fruit, almost citrus, orange and tangerine. So lively. A more saturated or thicker colour, not quite as pure in colour either, quite bold and thick to the rim. Initially there are more tertiary notes and more animal, less red fruit but still has an amazing vibrancy. It is at a different stage, there is a tiny bit of spice, some sweet leather. Then there is fruit, the palate has a monstrous complexity but still a fundamental lift, there is a “bricky” tea leaf element. With air there is a lot of degraded sweet fruit. A long finish and one that goes from savoury to fruit. On re-visiting at the end of the tasting I found more degraded sweetness, real intensity, lift but depth, some caramel-like sweetness. Similar colour to the 1964 but with a little more purity. The nose has a note of mushroom then with air a heady, spicy fruit with a saline and berry fruit lift. Initially on the palate there is such amazing sweetness, a little lively note on the tongue, a lighter almost rosewater finish follows, this is delicate and tender, the finish is a perfect foil for the sweetness of the attack. Almost a green pepper note, but it is one of life and intensity, really special. On re-visiting at the end of the tasting it was a little more herbal, spicy, smokey almost a shade nutty. A shade deeper in colour in the middle. The nose is only describable as “WOW”, so much life, caramel in abundance, extrovert, sweet and showy. Power and prowess, so hedonistic. Very difficult to describe, such is the density of the sweet almost fudge-like nose. There is fruit but it is sweetly degraded. In a way this is like a warmer older brother of the 1971. There is more weight to this that any other vintage in this tasting. I think it is fair to say it does not have the multi-dimensional complexity of some. It does though show the intensity and ripeness of the vintage. The biggest yield and earliest picking date of this tasting. On re-visiting at the end of the tasting it was just confirmed that in the nicest possible way this is a “Freak” of a wine. Clear and pale but definitely a tanned colour. Following the 1959 is rather difficult, but this has unbelievably persistent fruit, and lots of it, airy light fruit that dances, this is so elegant on the nose. The palate is a little more savoury but the fruit returns quickly, little or no saline edge. I would imagine this has always been elegant and pure…tea aromas, splendid wine. On re-visiting at the end of the tasting I found the fruit was still so poised, some of the fruit character is a little more orange like, a very complex wine. NOTE: I felt that the 1961, 1959 & 1955 were like three siblings with very different characters. 1961 – A late bloomer. 1959 – The school boy hero…captain of the rugby team. 1955 – The quiet achiever. The first vintage after the tearing up of the vineyard, the vines therefore were only 5 years old. There is a sensible argument made by Andrew Noblet that the bunches in this vintage profited from the “mulch” that resulted from the soil being fully turned over during the replanting. 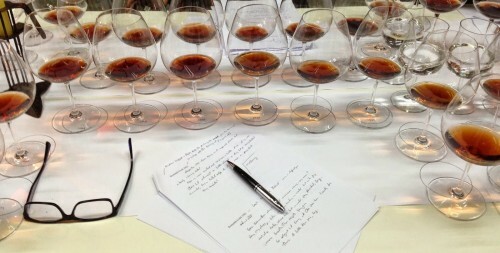 Deeper in colour than the 1955, full tawny with no red at all. The nose is a little more muted than many. There is a more resinous note and it is a little pine like. The texture is lovely and it is “all there” just a little closed. There is a herbal edge and a persistence. When coming back to this at the end it had become a little darker and with more soy. This was the last vintage before the grubbing up of the vines and was a difficult vintage. Some tobacco then almost perfect mushroom aromas, like soaking dried mushrooms in boiling water. Again a touch of soy. Very, very classy and precise, herbs did show as well. Very persistent and fine, more breadth than depth. A little Asian spice and a long, long finish, I really like this. On re-visiting there was more and more life and more and more cep. Very pale with hints of copper. Tea leaf and life with a dash of Sercial character. There is complete maturity here as you would expect. So light in colour but so flavoured and strong. There is a note of coconut and dry pineapple. This does have a tangy, slightly orange-like character. The aromas change every time you put your nose in the glass. You could just drink and enjoy this or spend 3 hours writing down all the nuances. A beautiful wine. Alpine notes, herbal on re-visiting. “Bright” brown, almost a hint of rose about the very light but clear colour. A “manure” nose initially with very farmyard aromas. There is no madeirisation at all, very mellow indeed. It does have very gentle fruit sweetness. With every swirl, and on coming back after a few minutes it is far less farmyard and more complete. Prettier and prettier. Amazing for a 96 years old! A truly wonderful tasting that I will never forget, it that more than showed off the staggering beauty of this Cru.